“Tagai mi’g at least 30 minutos mo-estorya ko diin ko mataw, kinsay ginikanan nako, asa ko nagskwela, unsy nahumanan nako, asa ko nagtrabaho—pribado ba o publiko,” said Evasco. According to Evasco, he would join the forum if its organizers will accept his proposal to change the mechanics and extend the time for him to introduce himself from three minutes to 30 minutes. Evasco appealed for the Bohol Chamber of Commerce and Industry (BBCI) which organized the series of fora for gubernatorial and congressional candidates to focus on personal background in addition to the presentation of programs and platforms. “I will make it clear that what they are asking, what they would want to know is one half only of what should have been known by the people. Dapat makahibaw sila kinsa ang mga nagpresentar ana [programs],” he said. The BCCI forum however has been known to be issue-oriented. Albert Uy, chairman of the BCCI, also earlier noted that the event’s mechanics have been applied in four editions of the event held during the past three election seasons and the current campaign period. The BCCI said that each candidate is given three minutes for introduction, three minutes for answering each of the questions and three minutes for closing remarks. “Mao nana atong mechanics sukad pa sauna. Sa akong gisulti ganina sa akong welcome remarks nga ika upat na ni na naghimo kita aning candidates’ forum sa upat na ka election ug wa man yamoy issues ani bahin aning introduction,” said Uy during the Third District Congressional Candidates’ Forum which was joined by three candidates on Monday. Evasco already declined the BCCI’s invitation for him to join the forum through a letter sent to Uy on Thursday last week, but revisited the issue on Tuesday in an interview with media as he noted that the event should focus on matters other than programs and platforms. “Kung publiko man na panarbaho, kung pribado man na panarbaho, wa ba koy kiha, wa bay mi-kiha nako kay nagkuan og kwarta na dili aho, wa ba koy kiha na ako naglapas sa katungod sa laing taw, dapat mao ny mahibal-an nila,” said Evasco. The statement was an apparent swipe at Evasco’s gubernatorial rival Deputy Speaker Arthur Yap who is facing graft charges before the Sandiganbayan. Evasco has been known to publicly criticize and hurl accusations against his political rivals during interviews and campaign rallies. 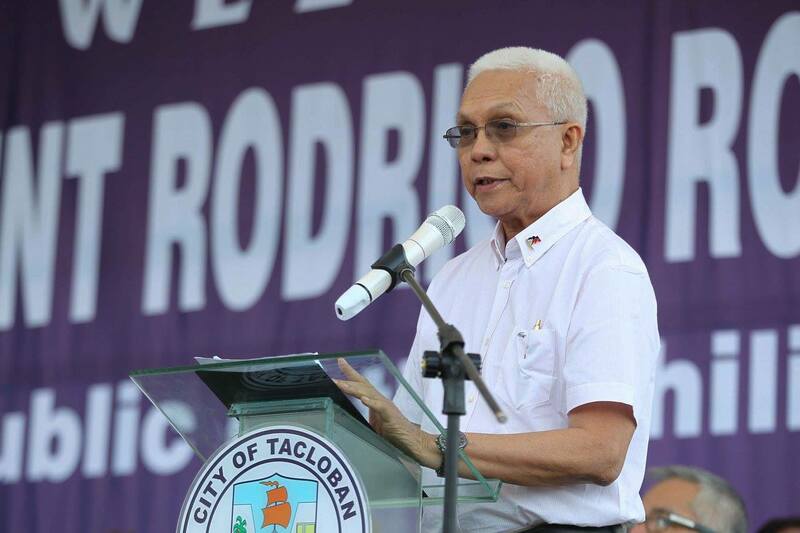 In a political sortie in Loon last week, Evasco was caught on video as he again alleged that Yap ally Governor Edgar Chatto has been behind the alleged proliferation of illegal drugs in Bohol through Provincial Administrator Alfonso Damalerio II. Evasco claimed in February this year that his allegations were based on a report submitted to President Rodrigo Duterte. However, no official from Bohol has ever been included in Duterte’s infamous “narco-list,” including the latest version which was released in March. The Bohol Gubernatorial Candidates’ Forum 2019 will push through with or without Evasco on April 23 at the University of Bohol in Tagbilaran City on April 23. The forum will proceed as planned with two gubernatorial candidates confirmed to participate, Rep. Arthur Yap and actor Roberto Reyes, said Uy. The BCCI meanwhile is awaiting the confirmation of other gubernatorial bets, Concepcion Flores and Boy Castillo. Based on the BCCI’s ground rules, candidates should stick to answering the question and should not make unnecessary and unfriendly remarks particularly towards fellow candidates. Amid a campaign period heavily marred by mudslinging and the propagation of false information, the BCCI’s forum is seen as an avenue for candidates’ to actually present their platforms, programs and stand on various issues.